Bwezani Nafuti: Should Dr. Rupiah Banda return to active politics? 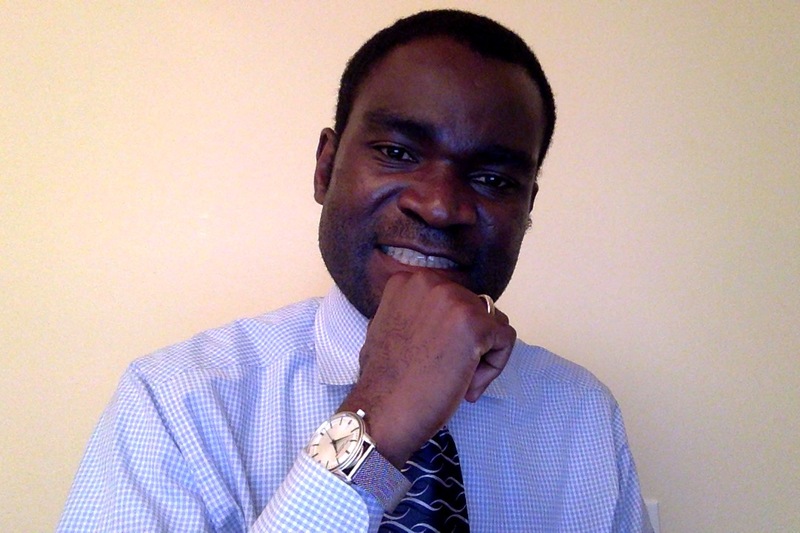 | Elias Munshya, LL.M, MBA, M.DIV. Bwezani Nafuti: Should Dr. Rupiah Banda return to active politics? Dr. Rupiah Banda has all the reasons in the whole world to be angry and to be outraged at the way the party that defeated him in the 2011 polls is handling national affairs. The economy is in crisis. National security is now just a wiretap away. Our country has lost its international profile. Banda’s successor “niba katekela mubwendo.” Even our own parliament now does not want private media to cover President Sata due to “security concerns”. Rupiah Banda planned all the little infrastructure development we are seeing today, but the PF is behaving as if it was their genius that made it. In many ways, the PF government has failed miserably and any leader such as Rupiah Banda should be furious! I support him on this. To be outraged is one thing, however. What really matters is what Banda can do about this outrage. Interestingly, there is a growing chorus of some “concerned Zambians”, who are calling for him to make a political comeback. 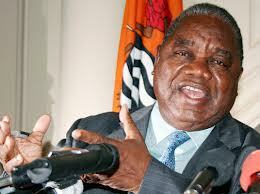 For his part, President Rupiah Banda has not curtailed that debate. He has instead castigated those opposed to Zambians calling for his return. Being a democrat that he is, President Banda is asking for a robust debate to continue about whether the Zambian people want him to return or not. Indeed, no one in Zambia should be stopped from expressing their opinion to call back Banda to deliver us from this clueless don’t kubeba. But since Banda wants to hear from Zambians, I must add my voice. It would be a bad move for himself, for the MMD and for Zambia to have Rupiah Banda return back to the political fray. Rupiah Banda’s 2011-concession speech is perhaps one of Zambia’s greatest political speeches. I would put it on the same level as President Kaunda’s Independence speech and Chiluba’ inaugural address. In that conceding speech, Rupiah Banda asked for peace to prevail in the nation. He counseled the winners to treat the defeated with dignity. He then encouraged the young people to take over the leadership of the country. He also availed himself to provide guidance and counsel to the nation. A few months after that loss, Banda relinquished his MMD presidency and the party found a new leader. In confirming, Banda’s foresight, the MMD found a younger leader: Nevers Mumba. But as expected, Nevers’ leadership was not going to be the magic wand for the MMD. It is ridiculous to suggest that a new MMD president would restore the popularity and clout of the MMD overnight. This is where the anti-Nevers cartel in the MMD got it wrong. Mumba or any other person could not have possibly redeemed MMD that easily. The MMD had lost an important election. It now is in opposition. Its stature as a ruling party had been diminished. To rebuild it needed patience, unity and support from all the concerned. The problem with rumours of President Banda’s return is the destabilizing effect it has on the MMD and on the leadership of Nevers Mumba. It does not matter that Rupiah Banda could be adopted by a different party. Just the idea of his return is enough to destabilize the MMD and Zambian democracy. Rupiah Banda still has huge clout in the MMD. This should be expected. To date, MMD campaign materials being used in by-elections still bear his portrait. In the East, where MMD is the strongest, it is clear that the party remains strong there due to RB’s influence. It is for this reason that Banda should exercise wisdom and leadership by stopping those calling for his return, as it would subvert the party. If Banda wants to remain true to what he said in 2011, he should support the younger people instead of allowing himself to get into the political ring again. Not that I have anything against age, no one is born old, but we should clearly remind ourselves that if RB stood in 2016 he would be around 80-years old. Nevertheless, the MMD under younger leaders now looks like it can rebuild. After the election of Muhabi Lungu as national secretary, it now seems like the MMD can get reorganized. Eastern province is in many ways a democratic hub of Zambia. The East does some amazing things to our democracy. The converse could also be true that democracy can be killed much more easily in the East. Just when we had the East as a great UNIP stronghold after the 1991 elections, it was Kenneth Kaunda’s continued interference in the affairs of UNIP that led to its great instability in the East. Had UNIP continued with its strong showing in the East, Chiluba could not have had the majority he had in 1996 to reverse much of our democratic gains. But Kaunda insisted on a comeback that hurt UNIP and hurt Zambia in the long run. I am afraid that, just was the case with Kaunda, Banda’s desire to return does have the potential to destabilize the MMD in the East and in essence kill the MMD. If Banda were to decide to return, I have no doubt that the East would support him. Nevertheless, even if the East supported him, he is likely to lose an internal MMD poll if he were to challenge incumbent Mumba. The reason is simple: the internal party polls in Zambia never support challengers of the incumbents. Party polls in Zambia are never free and fair. Mumba is likely to beat Banda if the MMD went to polls. But the political fallout is likely to damage the MMD brand further. For the MMD to survive, it needs the Eastern Province. Without the East, the MMD will crash. Every political party in Zambia must be a regional party first before it becomes a countrywide party. It is from regions that any party in Zambia can then plot its national growth and appeal. The PF’s region is clear for all to see, Luapula and other Bemba speaking regions. Sata does not need to campaign in Luapula. For the UPND it is the South. Hakainde gets huge votes there. For the MMD it has happened ironically, that it is the East. It is this East support that Rupiah Banda must direct towards the current MMD president. The accusations against Nevers are quite unfounded. No one in MMD was going to redeem this party. This party must start afresh. It needs support. It needs sympathy. It now looks like it has a brilliant duo heading it: Nevers and Muhabi. They need to be given a chance. If Rupiah wants admiration, he must channel his political clout properly for the good of the party and the nation. Muhabi Lungu was a UNIP firebrand when Kenneth Kaunda led to its downfall in 1995. It would be terrible to see Muhabi Lungu preside over the death of another party, the MMD, with the infighting that could rock the nation, if Rupiah Banda were to challenge Nevers. The young Muhabi should not become an undertaker in the death of political parties in Zambia. He must be given the chance to serve the MMD and work with Nevers to help the MMD rise from its ashes. For the sake of the MMD and Zambia, it would be a bad idea for Dr. Rupiah Banda to tolerate the idea that he could be President of Zambia again.